Camels are ridable and can have both saddles and horse aremor on but they don't ruin the skins of the camels. 3 Camels and to their left some black berry bushes. A scminiar Whilder to the left in the middle a male mongol and to the right a Khan. 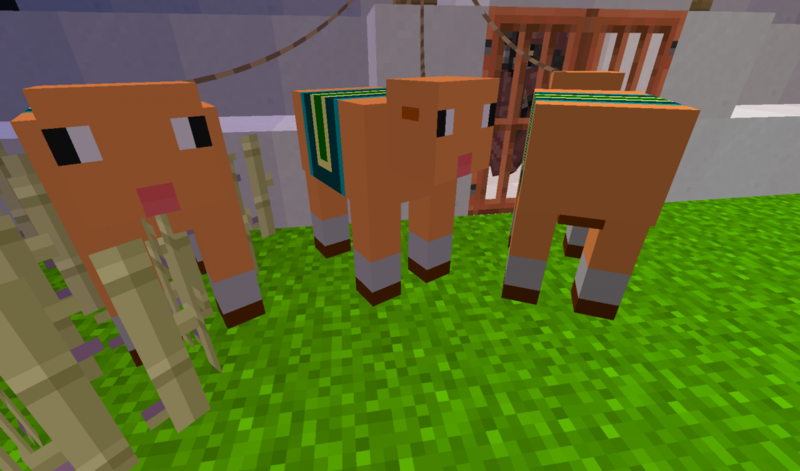 3 of the new mobs. Mongols will hunt down and kill goats. Only one khan but alot of troops to gard the Khan. 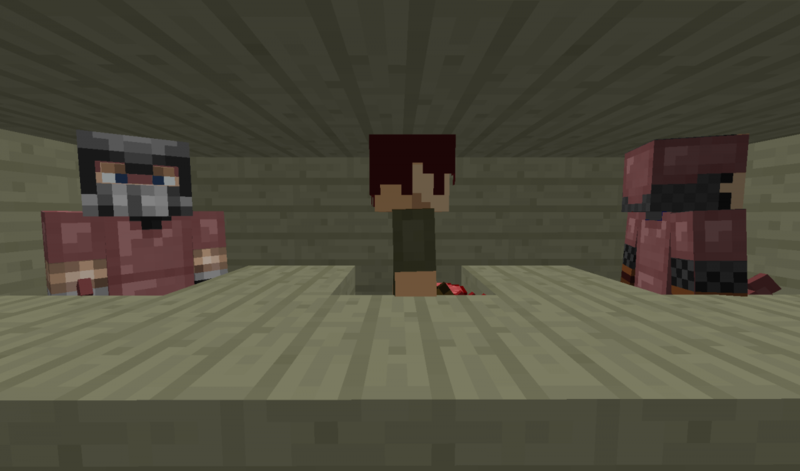 Many of the new blocks as well has new mob 'The Crawling Terror'. This is one of first mods and it still has new things to be added. 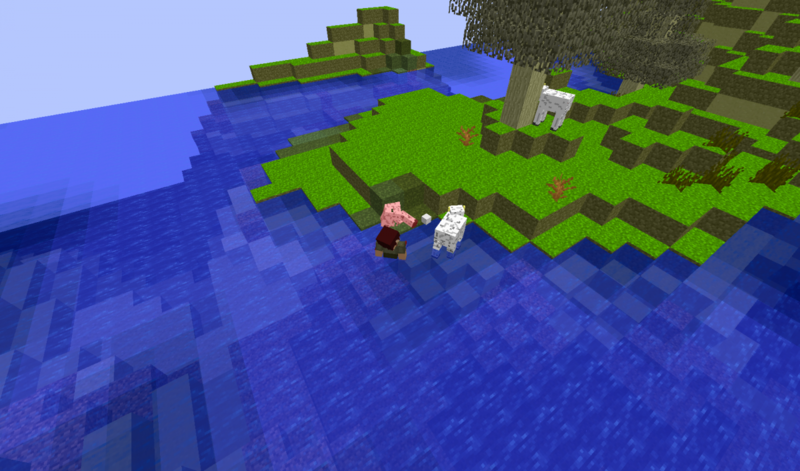 Many building blocks have been added and this mod adds a new biome, the steppes! Goats and camels will spawn. In the natives of the steppes you will find some yurts and if you are lucky you will find the khan's yurt. But beware! At the night, the Naimans come and terorise the steppes, killing players in just 2 hits and killing everyone they see! I have also made some resources renewable, however the renewable resources are not going to be very cheap. And there are also 4 sets of armor in the mod. Below you will find my Discord. And dispite being listed as an other mod i would give it 'buliding blocks', 'demensons and biomes', 'monsters and animals' as well as 'comabt and pvp'. I would also like to thank User of bricks (maker of the travelers advencer) for giving me some ideas also i gave him some of my ideas for his mod and we are working towards making them compatible whith eachother. 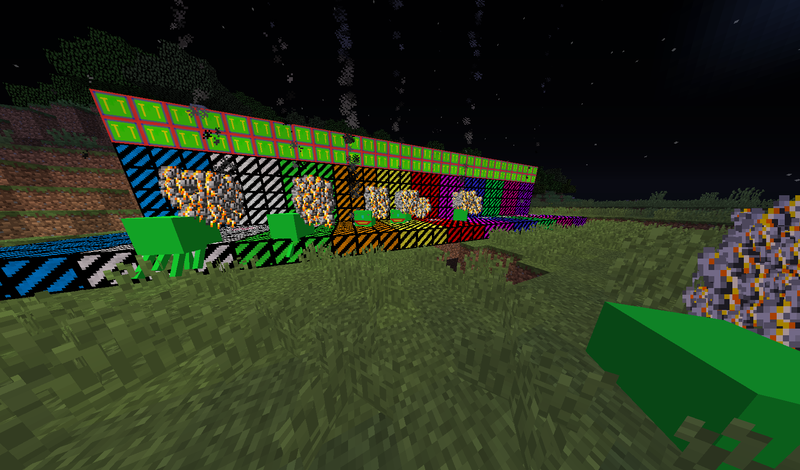 And a thanks to my discord for getting some textures remade for the mod, and finding bugs. I use the discord to help develop my mod be taking suggestions and allowing pepole to vote on what i add next. 1.1.0: (first verison) It adds the tiny tweak block, molten redstone, molten quatz, dark quatz, steppe logs ,steppe sand, steppe planks, mongol robes, cloth, goat meat, cooked goat meat, goats, mongol armor, refined iron, knife, larnce, scimitar, battle axe, and many other things. 1.1.1: Infinite steppes dimension has been added, so the steppes can be more easily reached. The steppes portal has the same form as the nether one but made out of sandstone. You need one sandstone block in the crafting table to get the igniter which has the same function as the flint n steel in the nether portal. Reduced the spawn rates of the mongol troops after somewone spotting them, it was lopsided. Gave the female mongols knives and made the AI target goats. 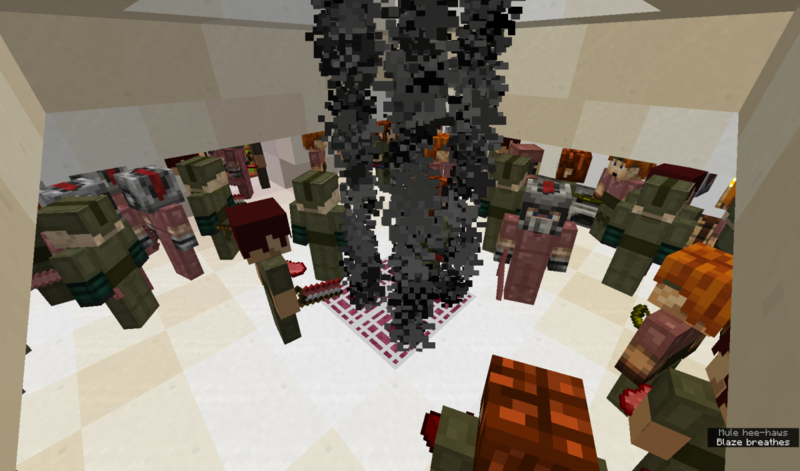 I recommend updating the mod to reduce lag from the high spawn rates. 1.1.2: The steppe animals will now randomly spawn the item dung at their location which can be smelted into dried dung that can be used in a furnace as a fuel. This means its easier to get fuel in the steppes now. Added molten lapis, molten gold, molten iron, molten diamond, molten emerald and molten refined iron. All of them are made by smelting their respective minirals. 1.2.0: The Naiman King has now been added. Added a currency system that has 1 unit worth 1 diamond block. Lithium has also been added. It takes a long refining process from water like in real life just look it up! And the method of getting the newly added steel is made out of carbon and iron. Added copper that comes from right clicking powered stone. Added quicksand aswell. 1.2.1: Since smelting stone resulted in Lava bucket which means free bucket instead of only Lava, a new item - Lava ball was added. Now smelting stone will give you a Lava ball and you will have to craft the Lava bucket using a Lava ball and an Empty bucket. 1.2.2: Added cobble armor for early game since iron takes time to get and added compressed obsidian armor which is better than dimond but is very expensive since one compressed obsiian costs 4 obsidan which makes the cost of the armor 96 odsidan. Also I have made netherack renwable whith nether wart and cobble stone being the recipe. I also made it so that you can smelt down glass bottles into molten glass that can be truned into moltehn glass that can be made into glass. 1.2.3: Now you can use wheat to craft flour which can not only be used as fuel but as crafting material for raw noodles. You can get noodles by smelting the raw noodles. + More colours for the danger blocks with ones like yellow, green and white and many more. -Due to a MCreator update the infinate stepps became gliched and had to be removed and then re-added which which would lead to them all being reset but since the extra dimenson had been leading to comatibilaty issues i took the oppitunity to fix the stepp biome after i left it with a high weight for testing and also remove the demension sorry about that. Thanks i put most of my weekend into it!